Maintaining the exterior of your Australian home is not just about giving your property street appeal – it is also essential for protecting your home. In this article we look at recommendations from Sydney house painters on what is best for keeping your property looking great in the harsh Australian elements. If you have been living in your current home for some time and can’t remember the last time you painted the exterior of your home then you will need to take a look. Investment properties and strata titled properties, just like owner occupied homes, require regular checks for problem paint work. 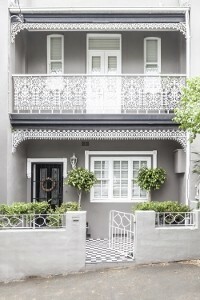 As house painters in Sydney for over 20 years, Colour Elegance knows all of the common problems that face your home’s exterior paint work – and how to keep them in check. This exterior paint problem gets its name from the regular alligator type pattern that appears in the paint. This is caused by applying a more solid coating (such as a solvent based enamel) over a softer coating (such as a water based primer). The cause is the natural expansion and contraction of the paint due to heat and cold. 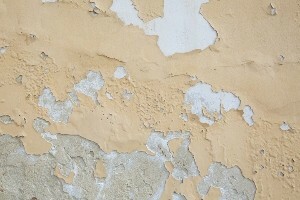 This can be rectified by removing the existing paints either by hand or with a heat gun, and then applying matching primers and paints and is best carried out by a professional painter if you don’t want the problem re-appearing. caused by the top layer not sticking to the layer underneath, hence the bubble effect. If this is happening to your exterior paint work, then chances are it was not done correctly or your paint is past its prime. This can be also be caused a variety of other issues with either your paint work or your home itself including: moisture coming through the exterior wall to ‘escape’ or the original painting was possibly done on a hot surface. If the problem is localised, then you can remove the blisters and make sure no moisture is present before repainting. Chalking is easy to notice if you rub your hand on your exterior paint surface and it comes away with a chalky paint residue. Most professional painters in Sydney will tell you that a small amount of chalking is normal, excessive amounts can be due to a low quality exterior paint, or incorrectly using an interior paint on the outside of your home. Before repainting, give the surface a good brush and a wash with the garden hose, and if after it dries there is no more chalk present then it should be fine. 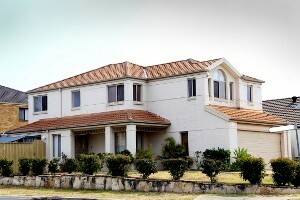 If you ask painters in Sydney what is one of the most common exterior paint problem they would say cracking and flaking. As we discuss later in this article, Sydney has some extreme weather from the cold of winter to the blazing heat of Summer. While it can be caused by general exposure to weather, it can also mean that the paint is a low quality, poor preparation before painting, or paint drying too fast in hot or windy conditions. 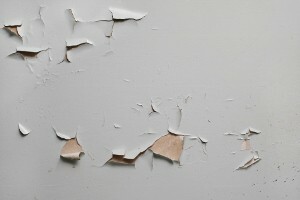 It’s unlikely that you will fix cracking and flaking unless you remove all the paint and start again. However, if the cracking is not right down to the substrate you may be able to scrape off affected areas and fix with the correct primer and repainting. Mould and mildew build up on exterior painted surfaces is most commonly caused by the area being damp and/or receiving little or no sunlight. It can also be caused by not priming wood correctly before adding other coats of paint. Mould will make the area appear black, grey or brown and you can test for its presence by applying a few drops of household bleach on the affected surface, if it comes off then it is likely mould/mildew and you will have to either clean it by hand or use a pressure cleaner. Depending on where you live in Sydney it can be hard to keep the outside of your home looking fresh and clean due to a number of factors. It’s not unusual for Sydney painters to see painted exteriors look worse for wear due to air pollution and dust particles. If you have used a low quality exterior paint then the grime may be impossible to remedy without sanding back and repainting, however, higher quality paints may just require some good old fashioned cleaning – possibly with a pressure cleaner. A pressure cleaner will wash off the dirt, and leave good sound paint intact. Sydney painters have become used to dealing with the effects of the environment on exterior paints. The weather and environment across the Sydney basin can vary from very low temperatures in winter through to blistering heat in the summer – not to mention salt in harbour and ocean side suburbs. In recent years Sydney has seen its fair share of extreme summers with temperatures in excess of 40 degrees celsius, and as you can imagine, this can have some negative effects on aging paint or DIY paint jobs done incorrectly. Using a professional house painter in Sydney means that your exterior paint work will be properly prepared and the correct types of paint chosen for a long lasting and great looking exterior. The effects of Sydney weather on your home’s exterior paint finish will depend entirely on both the quality of the paint used previously and how long it has been on your home. We asked house painters in Sydney what can affect the length of time your exterior paint will last. If you are painting on timber (without any other external influences) your exterior paint can last around 10 years – assuming it is done correctly and is of good quality. However, if your paint is exposed to direct sunlight this can reduce the life span by up to half! If you are enjoying a lovely coastal environment, the salty air can mean you need to be repainting every two or three years. With this in mind you should look at having a clear home maintenance schedule for your home’s exterior. This should include more than just your exterior paint, and should include your roofing, windows (including seals) as well as inspections of your foundations. The most regular task you can carry out to keep your home looking great is a general clean at least once a year. If you have cladding or painted walls you might want to hose off that built up grime and pollution that sticks to most homes in the Sydney area. While the exterior paint and other outdoor elements of your home are quite noticeable, roofing can often be overlooked for general maintenance. Most roofs will only need some regular cleaning to keep them looking great, and some general checks to ensure there are no problems with leaking, loose and missing tiles or sheeting. Have your roof cleaned with a high pressure cleaner as a garden hose will not remove the dirt present on move roofs. Keep your gutters cleaned (if you can install gutter guards) as a build up of leaves is not only a fire hazard, but it can create moisture problems within the roof and down your exterior walls. If you have water getting into your home you may need to have your roof resealed or at least checked for the source of the leaks. As this can be difficult it’s best to call in a professional. Instead of replacing your roof, make sure that it can’t be restored. Roof restorations in Sydney are a great deal cheaper than completely replacing your roofing iron or tiles. If you have tiles that are looking a little old, they will most likely only need a clean and possibly a repaint. Tiles shouldn’t have to be replaced unless they are cracked. The key to keeping the exterior of your home clean and looking its best is following simple and regular maintenance tasks. As we mentioned above, it is worthwhile putting together a maintenance schedule for major home components such as exterior walls and roofing. However, you will also need to keep an eye on fences, gardens, sheds and other structures around your home. Remember, if you are in a strata titled property here in Sydney, these areas are usually ‘common property’ which means maintenance and repairs are the responsibility of the body corporate. As we covered earlier in the article, Sydney homes are exposed to not only extreme weather but also pollution that comes with living in a built up urban environment. To avoid dust and grime building up on your fences, walls and other outdoor areas make sure you give them a good hosing now and again. To avoid wasting water try to use a pressure cleaner if you can, and also make sure there are no water restrictions in place when you’re planning on cleaning your outdoor areas. One other aspect of outdoor maintenance that is often overlooked is how you maintain your garden and the plants you choose to use around your home. While you probably already do a bit of gardening (or have landscapers keep it tidy) you should also consider the types of trees and shrubs around your home. Having large trees and shrubs around your house can not only cause damage during storms, but it might also be blocking light from coming into your home and even causing mildew on your exterior walls. If you have existing large trees or shrubs in your garden and they are blocking light from reaching a mildewy wall, then give it a good pruning or have it removed completely. Quite often large plants in your outdoor areas can make your yard look ‘crowded’ and stop your home looking its best. 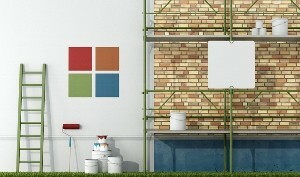 The best painters in Sydney will only use the best paints for your outdoor areas. 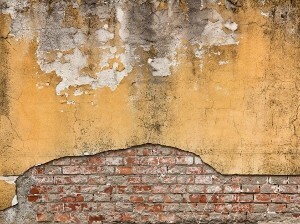 Your home’s walls are often the ‘face’ of your property and not using the right paints, or low quality paints, can mean you are just not achieving that all important street appeal. Painting your home might seem like something you can put off, but remember, your family home is also an investment and the right coat of paint can help protect your home as well as keep it looking great. So what type of outdoor paints should you use? There are a large number of outdoor paints on the market and in this case the saying ‘you get what you pay for’ is often true. Buying ‘cheap’ outdoor paints for your Sydney home may save you a little in the short term, but remember, the harsh Sydney weather will mean this paint will have to be removed and replaced much sooner than a high quality paint. If you are thinking of DIYing your exterior painting then you should also keep in mind that if you have not prepared your surface correctly, chosen the right primers and paints and painted everything correctly, then you will risk having to repaint again soon. To make sure your home’s exterior is looking its best for many years to come make sure you contact professional painters in Sydney to have the job done properly.